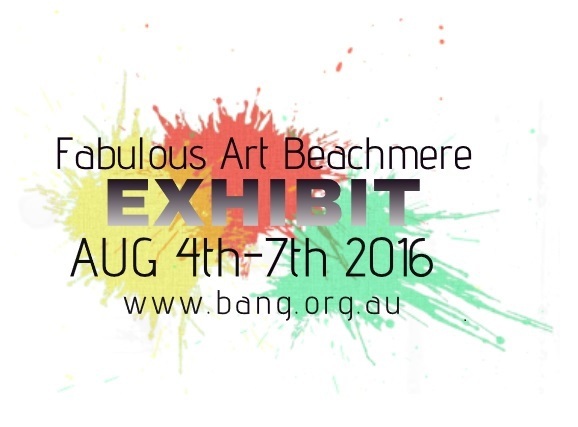 The BANG group at Beachmere has received a grant from the Moreton Bay Regional Council for an Art Exhibition at Beachmere - Fabulous Art Beachmere - known as FAB, will be held in the first week of August at the Gallery in the Beachmere Village Shopping Centre, on the corner of James and Beachmere Roads. Artists who live in the Moreton Bay Regional Council area, can submit their work. All the details are on the BANG website. Artwork can be paintings, photography, pottery, crafts and more. There is a Junior Section too - again details on the website. The Opening and Presentation of Awards will be held on Thursday August 5th at 6 - 8 pm. Tickets are $15. There is an enthusiastic art community in Beachmere - and the entries are rolling in. Artists who are still keen to participate can still enter - just visit the website and download the entry form, and make contact with our organiser.